According to the Daily Mail, the Treasury will give the money to charity in lieu of the tax taken from sales of Wherever You Are, which looks set to be Christmas number one. Chancellor George Osborne and Defence Secretary Philip Hammond are said to have struck the deal after Conservative MP Oliver Colvile called for the tax to be waived. A Treasury source told the newspaper: "George thinks this is an incredibly worthy cause and is sorting this out. We look forward to making an announcement shortly." Mr Colvile, who wrote to the Treasury and started an online petition over the issue, told the paper he was "absolutely delighted the Government has seen sense". Last month the Government agreed to make a charity donation equivalent to the sum of VAT receipts collected on the sales of the X Factor's charity single Wishing on a Star. 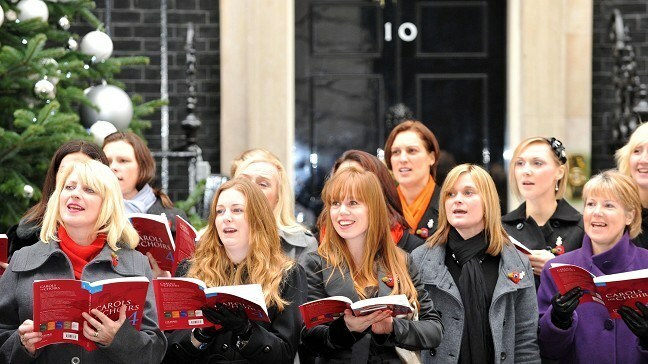 The Military Wives were formed by Gareth Malone for BBC2 programme The Choir, which climaxed with the group performing at the Festival of Remembrance at the Royal Albert Hall. Their song has become the fastest seller for six years and could hit the half-million mark by the end of the week, virtually guaranteeing a Christmas number one. The group is outselling this year's X Factor winners Little Mix by a margin of six to one, with 242,000 copies sold in two days, according to the Official Charts Company. Proceeds from the single are being donated to the Royal British Legion and the Soldiers, Sailors, Airmen and Families Association. The Christmas number one will be announced on BBC1 at 2pm on Christmas Day.